On any library computer, go to nytimes.com. You do not need to sign in. If you do not have a NYTimes.com account, or you have a paid subscription, you will need to create an account to gain access. 1. Go to this link. Enter your library card number and PIN. 2. 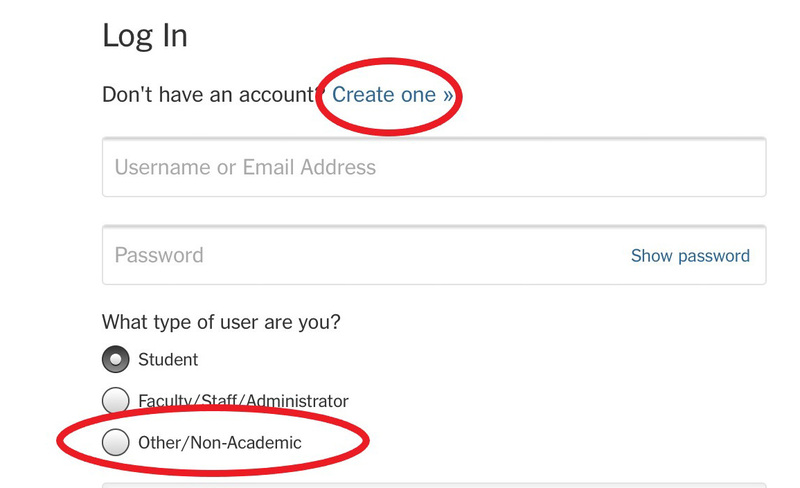 Select Create Account, enter a valid email address, create a password, then select Other/Non-Academic under type of user. 3. You will be issued a pass that will allow you 72 hours of complimentary access. You will get a message that indicates when your pass expires and a link to go to NYTimes.com. Once it has expired, you can log in again to get a new pass. 4. There is a daily limit on the number of passes available. If you already pay for a NYTimes.com subscription, you will need to create another account to access your Edmonton Public Library pass. Follow the instructions above using a different email address than the one used for your existing NYTimes.com account. 1. To read on your phone or tablet, you must create an account, sign into NYTimes.com and secure a pass. 2. Download and install The New York Times app for iOS or Android, depending on your device. 3. Log in using your NYTimes.com account.